Please enter your valid 10 digit mobile no. Please enter the valid text. Please tick terms and conditions. Please Note : Users are advised to Research Bonafides of Advertisers Independently; NashikProperty.com shall not have Any Responsibility in this Regard. Shree Tirumala Ashirwad Apartment, Pethe Nagar Road (Indira Nagar), Opp. Bal Bharti, Nashik - 422009. 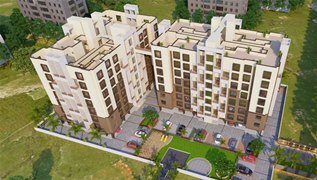 Roongta Group is one of the leading builders & developers in Nashik offering affordable residential & commercial projects with best amenities. The company is into real estate business from last 2 decades & are well known for their timely possession & transparency. NashikProperty.com Portal is only a medium or platform to make easy communications between Seller and Customer/Buyer/User and is not and cannot be a party to or control in any manner any transactions between the Seller and the Customer/Buyer/User. NashikProperty.com Portal shall neither be responsible nor liable to resolve any disputes or disagreements between the Customer/Buyer/User and the Seller and both Seller and Customer/Buyer/User shall settle all such disputes without involving NashikProperty.com Portal in any manner. All trademarks, logos, images and names are provided by respective Owners/Builders/Promoters/Agents/Brokers.